We are prominent manufacturers of Limpet Coil Vessels which can be made of mild steel or stainless steel. Our product delivers qualitative performance at considerable low investment. It requires less maintenance and can be easily operated. Leveraging on our extensive market knowledge, we are providing a high-quality range of Limpet Coil Vessels. 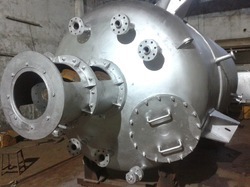 We Offers various types of recation Vessel Like Jacketed Reactor, SS Limped Reactor, MS Limped Reactors. The working capacity varies from 0.5 kl to 20kl. we offers in all grades of materials. Closed Pressure with Coil Mounted in Vessel Wall. 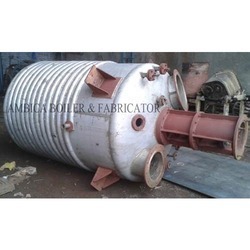 We are known as one of the leading manufactures and suppliers of limpet Coil Reactor Vessels.